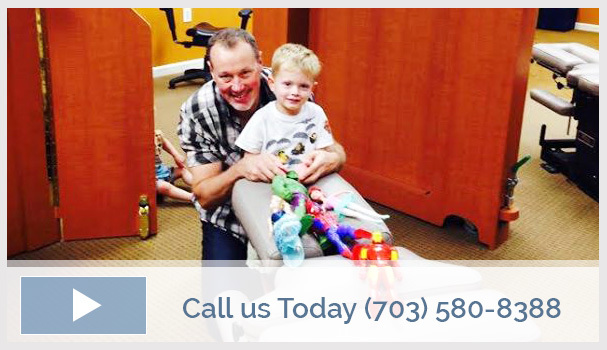 Since 1998, Dr. Scott Stachelek has been welcoming those in Montclair and Manassas to experience exceptional wellness. Our friendly staff will welcome you and your family. We've created an environment that we call the "Watering Hole for Wellness". Montclair chiropractor, Dr. Scott Stachelek’s, purpose is to lead families into a life where exceptional wellness is the norm. Pain, awful sleep, low energy, stess/anxiety, recurring infections, asthma, allergies, colic, ADHD or pharmaceuticals are not the normal human default. The human default is you at your Highest Potential. At True North Chiropractic, we will help you take control of your health and give your body the opportunity to heal and function as it was designed to. Therefore, our first interaction will be a conversation about your concerns, your history and your values. It truly will be all about you. Our purpose is to lead families into a life where exceptional wellness is the norm. Our strategy is to create a values driven community united by a commitment to achieving their highest potential. Our vision where this will happen is the “Watering Hole For Wellness”. Water perpetuates and nourishes life. Our nervous system does the same. Watering holes as gathering places have not disappeared; they’ve changed from community wells to inns to pubs to coffee houses and now to chiropractic centers. Our vision at True North Chiropractic represents our deep passion to create a gathering place for people who want to achieve their highest potential over an entire lifetime. Discover a life where your loved ones all have exceptional wellness. Contact us today and learn more about how our services can help you discover your best life! After just a full month with Dr. Scott I am making huge strides towards my wellness. He is amazing and always takes time to explain adjustments or to answer any question you may have. I always enjoy my time at True North Chiropractic. The staff begins to feel like family, and I always leave feeling refreshed, opened, and internally cleaner. I was looking for a good, trustworthy chiropractor for my kids. A friend recommended Dr. Scott. I am forever grateful! Excellent care, knowledge, and skill! Now we all get our adjustments at True North Chiropractic. Dr. Scott and his staff are wonderful!